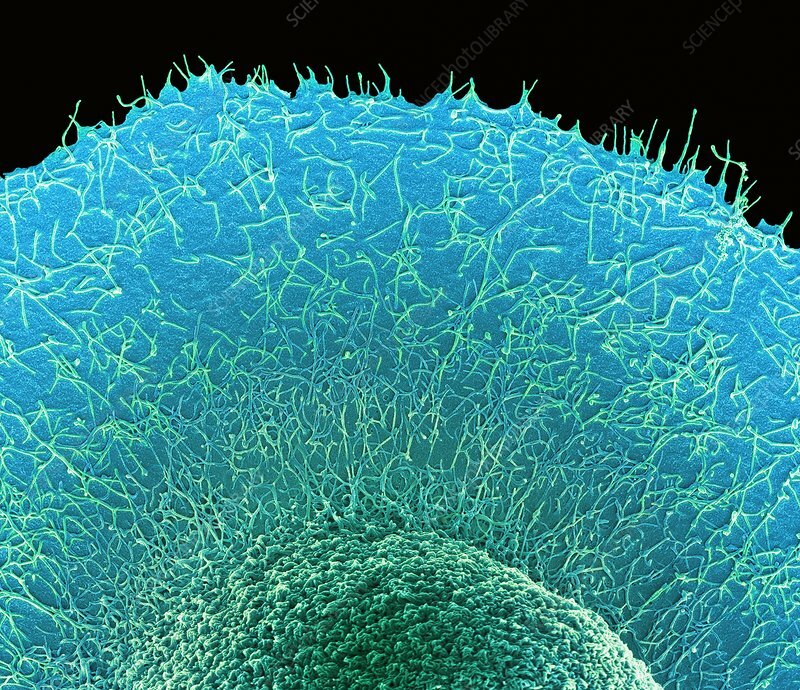 Colorectal cancer cell. Coloured scanning electron micrograph (SEM) of part of a cancer cell from the human colon (large intestine). Cancer of the colon is also known as colorectal cancer. Symptoms include rectal bleeding and abdominal pain. Treatment is with surgery to remove the affected area. Colon cancer is one of the most common cancers in the Western world. Magnification: x1500 when printed 10 centimetres wide.